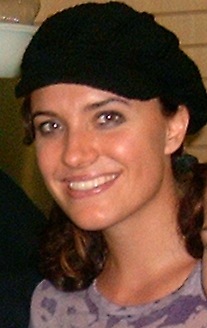 Rebecca Jean Fink (née Smallbone; born 26 July 1977), known professionally as Rebecca Jean or Rebecca St. James, is an Australian Christian pop rock singer-songwriter and actress. She began performing in Australia in the late 1980s and released her first full-length studio album in 1991. She was signed to ForeFront Records in 1993, releasing her major label debut the following year. St. James rose to fame in the late 1990s with her RIAA certified Gold albums God and Pray, the latter of which won a Grammy Award in 1999 for Best Rock Gospel Album. The albums spawned multiple singles, including "God", "Pray", and "Yes, I Believe in God". Since then she has established herself as one of the most prominent musical artists in Contemporary Christian music (CCM), with four additional full-length studio albums: Transform, Worship God, If I Had One Chance to Tell You Something and I Will Praise You. Staple songs such as "Wait for Me", "Reborn", "Song of Love", "I Thank You", "Alive", and "Shine Your Glory Down", have all been derived from these releases. She has sold two million albums since starting her career.St. James is also an accomplished author and actress. To date, she has released nine published books and starred in five films, a musical stage show, and a VeggieTales episode ("An Easter Carol"). Her ninth book, What Is He Thinking?, was released on 26 September 2011. She has starred in the films Unidentified, Sarah’s Choice, Rising Stars, The Frontier Boys, Suing the Devil, A Strange Brand of Happy and Faith of Our Fathers. She is also an outspoken sexual abstinence and pro-life advocate, a spokesperson for Compassion International, the sister of Joel and Luke Smallbone, who comprise the band for King & Country, and the wife of Foster the People’s former bassist Jacob "Cubbie" Fink.